Whether you're based in the North with only a tiny balcony cannabis garden in Milan or have a countryside haven in rural Sicily. We've got 5 amazing weed strains for the outdoor cannabis hobby grower in Italy to consider cropping in 2019. CAN CANNABIS BE GROWN OUTDOORS IN ITALY? The short answer is yes, absolutely. Moreover, Italy as a whole probably has the best-suited climate in all of Europe for outdoor cannabis cultivation. It’s no secret that Italian food is some of the best in Europe, if not the world. What’s less well known outside of Italy is that some of the finest weed cropped in Europe is farmed in Southern Italy. Ganja farming in the North of Italy is possible provided the grower gets his/her timing right and chooses suitable cannabis strains. With the right genetics and some luck with the weather impressive frosty harvests can be cropped before the heavy winter snow falls. 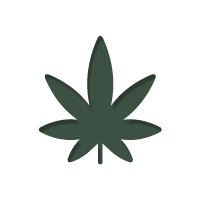 Furthermore, the cannabis legalisation movement is particularly strong in Italy and cannabis has pretty much made the transition to mainstream societal acceptance. Italy, similar to Colombia, is both well geographically and demographically positioned for 21st-century legal cannabis cultivation to flourish. If you're planning on growing outdoors in the North of Italy, above Florence cultivation becomes more challenging, but not impossible. Northern growers based in and around cities to the far north like Turin, Milan, and Trento have a more limited choice of strains and the harshest weather conditions to cope with. Year-round cultivation is virtually impossible in Northern Italy and the growing season is confined to the summer months, and even then rainfall is highly likely. Planting in pots rather than directly into the ground is a good insurance policy for any grower as the crop can always be temporarily moved to shelter during a thunderstorm. The South of the country must be sub-divided into east and west. South of Florence along the Mediterranean coast to the islands is weed country. 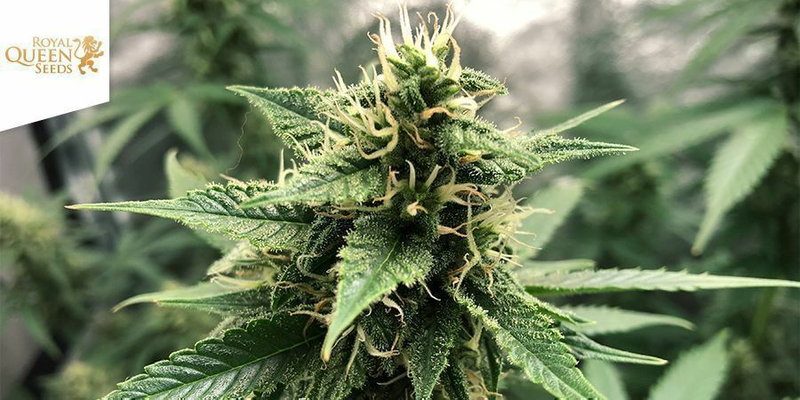 Climatic conditions are optimal for a wide variety of cannabis strains from Spring to Autumn, and with a greenhouse, it’s possible to ride out the Summer showers and cold winter months too. However further inland and along the Adriatic coast from Venice in the North down South as far as Bari the climate is more sub-tropical than Mediterranean, still warm and sunny but much more humid. Little chance of hail or snow, rather the warmer air ensures most precipitation is rain. Selecting the appropriate cannabis strain is the make or break decision for the outdoor cultivator in Italy. Sure summers are fantastic south of Rome along the coast of the Mediterranean with the perfect environment for most cannabis strains from Kush to Haze. But up North toward the Alps you must crop fast flowering robust hybrid varieties and all along the Adriatic coast mold resistance is an essential trait to carry your bud through until Croptober. Here’s our 5 climate specific cannabis strain picks for Italian ganja farmers. For growers based North of the imaginary, east to west line, from Genoa to Trieste, then a swift summer cannabis crop is the only option for an outdoor grow. The Big Bang Auto is the perfect choice as it is ultra fast flowering, compact, and low-maintenance. Requiring a total of 8 weeks in as little as 9 hours of sunlight but ideally in 12-18 hours, post germination to reach harvest. Big Bang Auto is as hardy and resilient to cold weather conditions as they come. If carefully nursed, the Big Bang Auto can be grown outdoors in Summer. Moreover, impressive yields can be achieved and the stash is high-grade skunky weed that won’t disappoint. Southern growers could squeeze in an early Spring crop with this strain or even two in a good summer. North and central Italy based growers, especially in the large cities from Milan to Rome, looking for connoisseur grade marijuana in a hurry should consider the Cream Caramel F1 Fast Version. 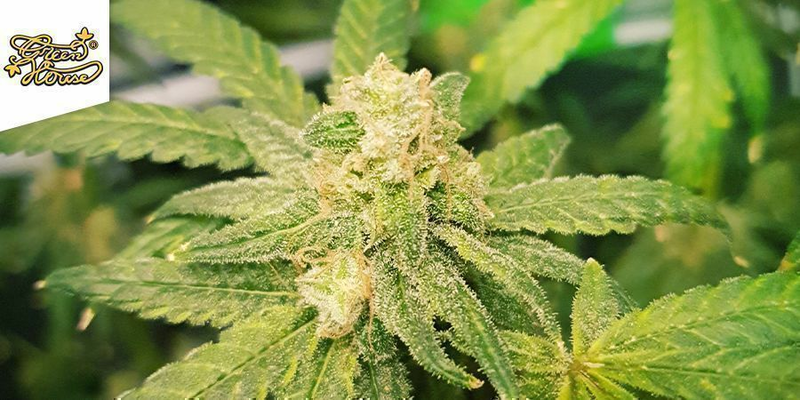 This fast version of the heavy Indica legend Cream Caramel will deliver an equally heavy harvest of up to 20% THC level flavoursome tight buds. With a flowering time of just 7 weeks, frosty photoperiod strains don’t crop any faster than this. Down south this strain is of interest to those seeking to double down as two crops are possible in the Summer/Autumn seasons if timed perfectly and so long as winter doesn’t come early. Southern Kush aficionados that want the high potency of Kush but also a sweet fruity flavour pay close attention. Some strains don’t cope well with high summer temps, and dry conditions so don’t take any chances choose a vigorous Kush hybrid. 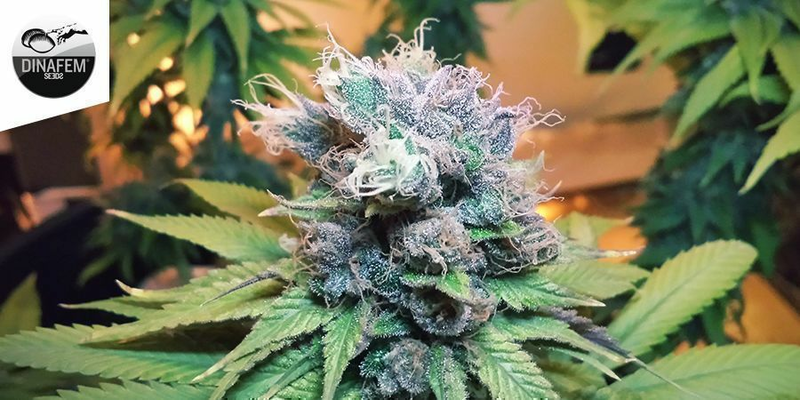 Study the weather forecasts and climate data for your region and work out when the hours of sunlight naturally fall to 12 hours per day and make sure you have some Blue Kush ready to bloom. This deliciously potent hybrid of O.G. 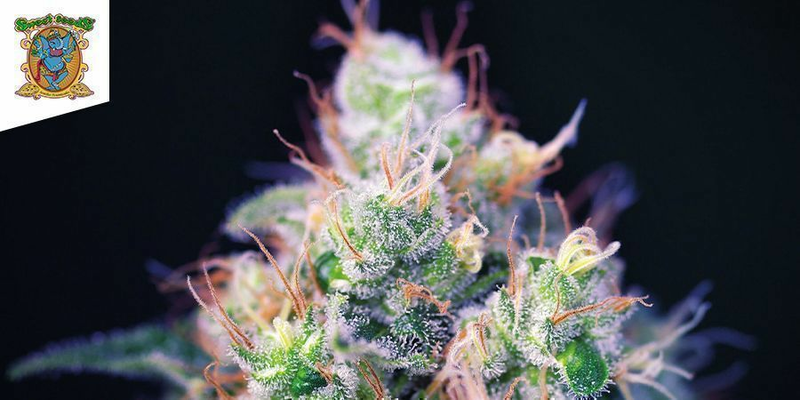 Kush and Blueberry is a top shelf cannabis strain Northern European growers can only dream about growing outdoors. 60 days or less of dry summer weather and she’s done. Exclusively for the southern sativa sybarite, we recommend the Super Lemon Haze. This is perhaps the very best Haze strain on the market. Regrettably the longer flowering period, typically 10+ weeks eliminates this from the selection process for growers in the North. 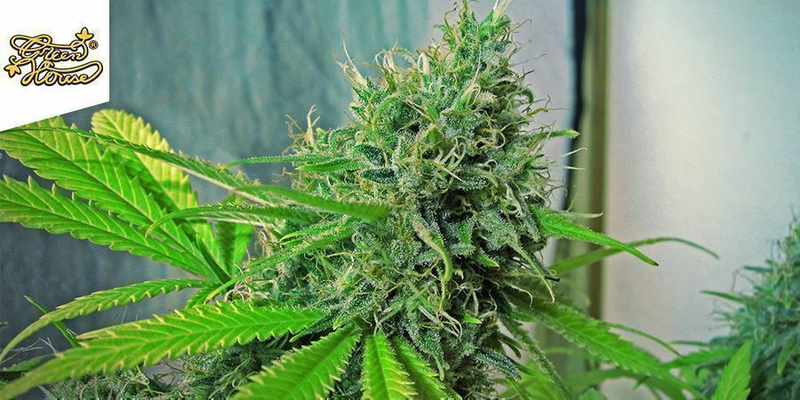 This is an excellent choice for growers on the Adriatic Coast as the Super Lemon Haze thrives in a sub-tropical climate. In fact, on either coast, this Haze variety can be tremendously productive and really requires training to prevent drawing too much attention. Super Lemon Haze can really reach for the sky and hit 3m with a yield of up to 1kg per resin dripping lemon tree. Premium uplifting lemon flavoured head stash in large amounts. Our final pick for the outdoor Italian cannabis cultivator is the legendary White Widow by Royal Queen Seeds. This knock-out marijuana strain often frustrates novice growers when it comes to yield indoors compared with more modern strains. When cultivated outdoors along the Mediterranean in Summer-time White Widow can reach 2m and produce trichome layered white nuggs that resemble frosty acorns. Definitely more forgiving to beginners when cropped outdoors in soil and yields are most impressive. 10 weeks of bloom should ideally culminate in a lush mid-September harvest of the dankest bud. In the South of Italy, below Rome, growers can get started outdoors in the Spring as early as April is perfect timing for germinating along the Mediterranean and perhaps a month later on the Adriatic is just about right. North of Florence it’s probably best to wait until Summer is underway to give the cannabis crop the greatest chance of survival. Waiting until June or even as late as July might be best if the weather is still changeable. Of course, it’s best to germinate your cannabis seeds indoors and if possible, keep them indoors until they have safely progressed through the seedling stage. Two weeks under a basic CFL system or placed on a sunny windowsill will suffice. Summer temperatures in Italy throughout the country are usually within the sweet spot for cannabis cultivation. However, highs of 30°C + in southern coastal regions and during the summer months of July and August can be problematic. Shading will be required to prevent plants suffering heat stress and more frequent watering will be necessary. Cool night time temps are another threat for outdoor growers in Italy. In the North, even during summer time, the temperature can swing from a daytime high of 28°C down to 15°C or lower at night. Autos and hybrids typically endure these fluctuations better. North or South you could find yourself alternating between sheltering plants indoors when temps dip below 10°C on Autumn/Winter nights, to covering plants with sheeting or inside a greenhouse during Spring showers, then to erecting screens for shade during a summer heat wave. Mould or bud rot is the bane of every cannabis cultivator’s existence. Outdoor growers must devise a schedule before sowing a seed and stick to the grow timeline following germination. Starting a cannabis grow in the right season with the right beans is the first step every grower can take to avoid dealing with mould later. It also helps a whole lot if you catch a break with the weather, especially close to harvest when colas are fattest. High humidity and low temps are a fungus favourite. So you grow when the environmental conditions are suitable with the strains best adapted to the particulars of your climate zone. If you get your timing wrong, choose the wrong strain or just get unlucky with the weather mold can be a huge problem. The smart grower does all he/she can to avoid encountering mold in the cannabis garden. Feed plants liquid silica to bulk up cell walls, add beneficial fungi to the medium so the nasty fungi have competition should they find their way in, and keep your fingers crossed for warm, dry weather for the duration of your outdoor cannabis cultivation.